*Money for Jobs and People’s Needs, not War! *Rebuild Flint! Rebuild our Cities! End the wars! *Defend the Black Lives Matter movement! What happens when there are endless wars accompanied by militarized policing, spreading racism, erosion of civil rights, and concentration of wealth, but the only news is election news, and none of the candidates wants to talk about shrinking the world’s largest military? We happen. That’s what. 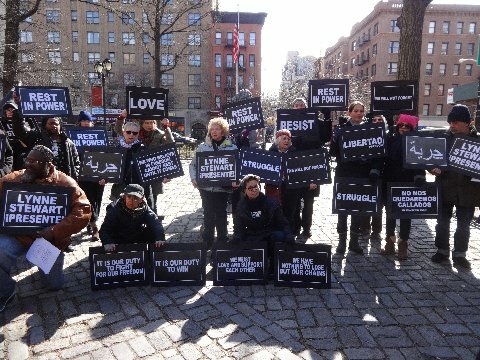 We turn out for a Day of Solidarity and Peace in New York City on Sunday, March 13th. We start by signing up at http://peaceandsolidarity.org and inviting all of our friends to do so. If we can’t come, we invite all of our friends anywhere near New York to sign up and be there. We sit down and think of every person we remember hearing ask “But what can we do?” and we tell them: You can do this. Lynne will be speaking at this event. Since the January Local Station Board election results created a 12-12 tie between Justice & Unity and the Indy-ACE group, they have refused to attend board meetings. We need a minimum of 13 members to elect local officers and national representatives and do other business. Their “boycott” prevents any binding action on urgent station problems. We think that they ran for office and so they should serve or step aside. Below is a petition that urges them to come to the table and also alerts the Pacifica National Board, of which the WBAI LSB is a committee. 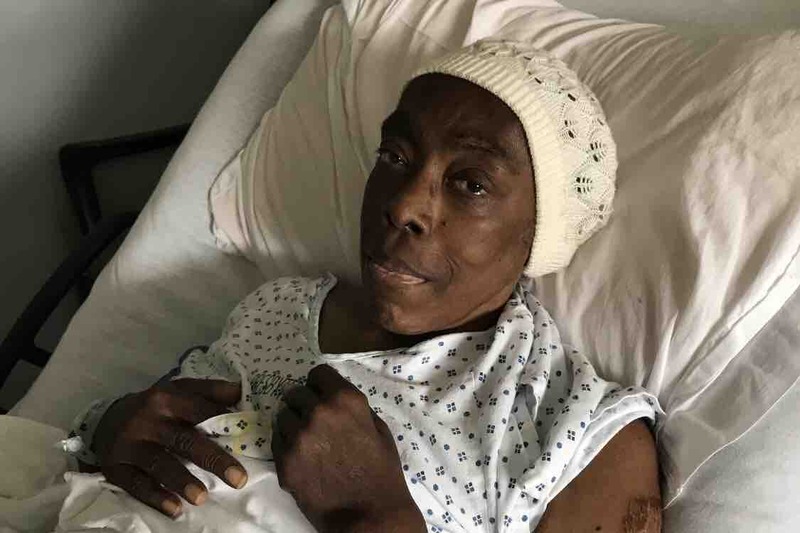 Please sign it! Please respect the bylaws and the decisions of the station’s voters and show up and do the work that you were elected to do: Save WBAI.
. Spread the word on social media! The next Local Station Board meeting is scheduled for Wednesday, March 9 at 7 PM at the ARC Senior Center, 120 W. 140 St., between Malcolm X Blvd. & Adam Clayton Powell Blvd., Harlem, NY 10030. Come out and speak out during the meeting’s public-comment section about whatever issues concern you in this time of the station’s continued financial crisis. 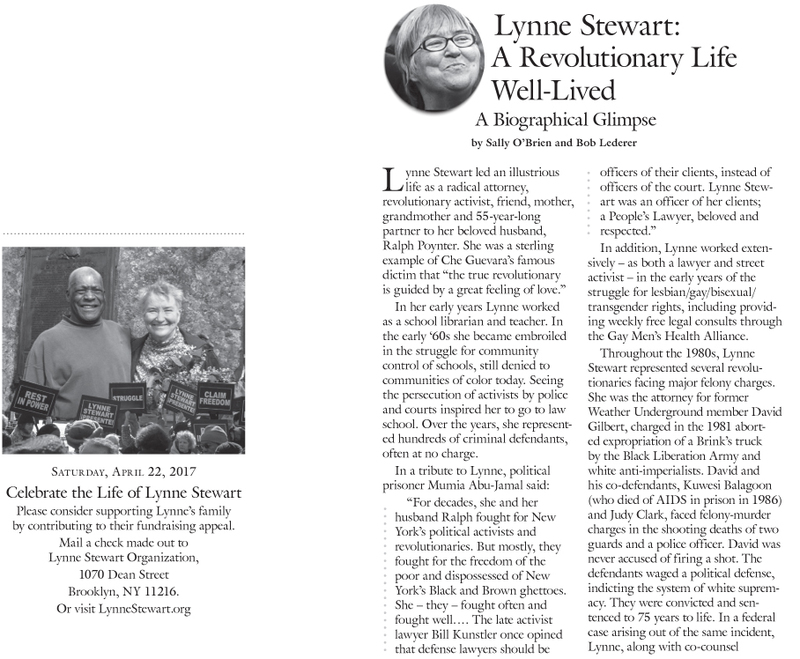 From Lynne: This is a link to a fine article on Buzzfeed about two of our PPs that have now served 45years—yes 45! We should all be paying close attention ! On a 100-degree day this past July, Edward Poindexter woke at 8:30 a.m., as he does most mornings, and walked for an hour around the 400-meter track in the west yard of the Nebraska State Penitentiary in Lincoln. If you walk alongside the fence enclosing the yard on Monday, Thursday, or Saturday mornings — moving quickly so you won’t be noticed by the guard in the closest security tower — you might catch a glimpse of Poindexter: big, bald-headed, propelling himself forward in figure eights, a cane in each hand. A fixture here, he is sometimes joined by young gangbangers seeking advice. As a reserved, introspective child growing up in the early 1950s in Omaha’s predominantly black Near North Side, Poindexter’s favorite activity come summertime was to walk, alone, to an open field on the outskirts of the ghetto. Once there, he’d gorge himself on mulberries and admire the nice homes around a nearby elementary school in the white part of town. The first time he found the field he was stunned. Up to that point his entire world was eight or nine blocks. Omaha, he realized, was a big and varied place. 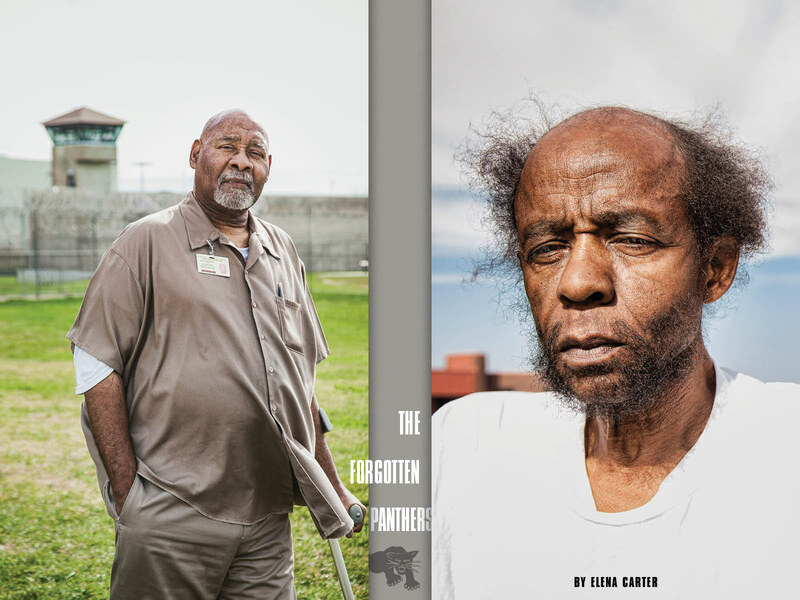 In some ways, 71-year-old Poindexter is more like his childhood self than the hotheaded man he was in April 1971 when he — along with David Rice, now known as Wopashitwe Mondo Eyen we Langa — was tried, convicted, and sentenced to life in prison for the murder of Omaha policeman Larry D. Minard. Minard died when a suitcase bomb exploded in a North Omaha home on August 17, 1970 — one of a series of bombings to shake the Midwest that spring and summer. He was responding to a phony report that a woman had been dragged, screaming, into the vacant home. 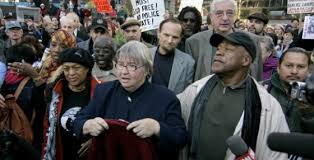 At the time, Poindexter and we Langa were leaders in Omaha’s National Committee to Combat Fascism (NCCF), the successor to the recently dissolved Omaha chapter of the Black Panther Party. The two were arrested after Duane Peak, a 15-year-old former NCCF member, implicated Poindexter and we Langa as the brains behind the bomb plot, though he initially confessed to planting the bomb and placing the phony 911 call alone. By the time their trial was over, Peak would again change his testimony, Poindexter’s and we Langa’s alibis would check out, and the two men’s hands would test negative for the dynamite residue found on their clothes. Key evidence would be withheld from the defense. The jury — of which 11 of the 12 members were white — found them guilty. 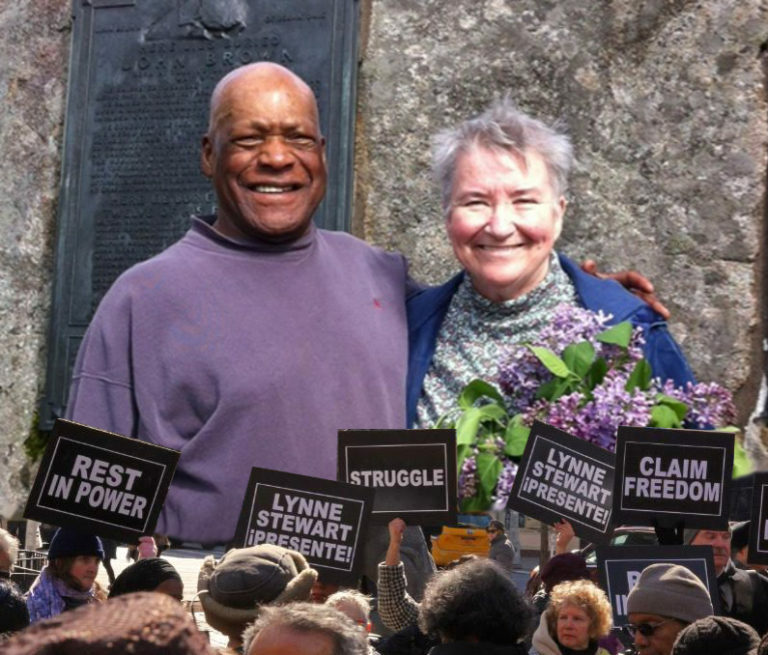 Since then, we Langa and Poindexter’s case has penetrated every level of the criminal justice system, from local officials to former governors to the FBI to the Supreme Court. It’s been mired in suspicions of murky police practices, backroom plea deals, allegedly planted and suppressed evidence, and a teenage suspect whose testimony may have been coerced. Read the full article at Buzzfeed. Lynne hoped people could watch this important film. (T)error, from filmmakers Lyric R. Cabral and David Felix Sutcliffe, premieres on Independent Lens on Monday, February 22 at 10:00 p.m. ET (check local listings) on PBS. The first documentary to place filmmakers on the ground during an active FBI counterterrorism operation, the film raises questions about the balance between civil liberties and national security. How far are we willing to go to prevent terror? What liberties are we willing to sacrifice to get there? Lynne wanted folks to hear this segment on Ana Belen Montes. In order to try and prevent counter demonstrators from disrupting their protest; The Pigs are providing “FREE” Tickets for folks to be able to cross police lines and get into their rally. If they DO NOT Cancel then join the “Freedom Fighters Contingent” and veteran members of the “original” Black Panther Party to gather outside of St. Patrick’s Cathedral on 51st Street/Fifth Avenue & march two blocks to NFL Headquarters at 51st Street/Park Avenue for our own Black History Month Rally To Both Defend The Legacy of The Black Liberation Struggle and To Demand Freedom For All Black Panther Party Exiles, Political Prisoners & Prisoners Of War. Once again, our country Haiti is in turmoil and thus in the front and editorial pages of the U.S. mainstream press. The justified revolt of the Haitian masses against the centuries old genocidal plots of our sworn enemies is once again being sold as the incapacity of Haitians to resolve our differences and govern our country. Were Haitians to “play nice” and allow the continued abrogation of our sovereignty, the pillage and plunder of our country’s resources, to be play toys for foreign tourists, and to be no more than a cheap labor pool for international capitalism then, of course, our country would cease to be called a failed state. Haiti was born in struggle. Struggle is in our DNA. We are a coalition of 4 New York City based Haitian community organizations, Citizens Committee to Protect Haitians, KOMOKODA (The Committee to Mobilize Against Dictatorship in Haiti), Fanmi Lavalas NY Coordination, and Platfòm Pitit Desalin who have come together to demonstrate our support for our sisters and brothers who are in the streets of Haiti fighting and dying for justice and their human right to respect and dignity. We support their demand for the immediate ouster of illegitimate U.S. installed puppet President Michel “Sweet Micky” Martelly; the end of the US-UN occupation of our country; and the end of the 200-plus years of foreign meddling in the political affairs of our country. 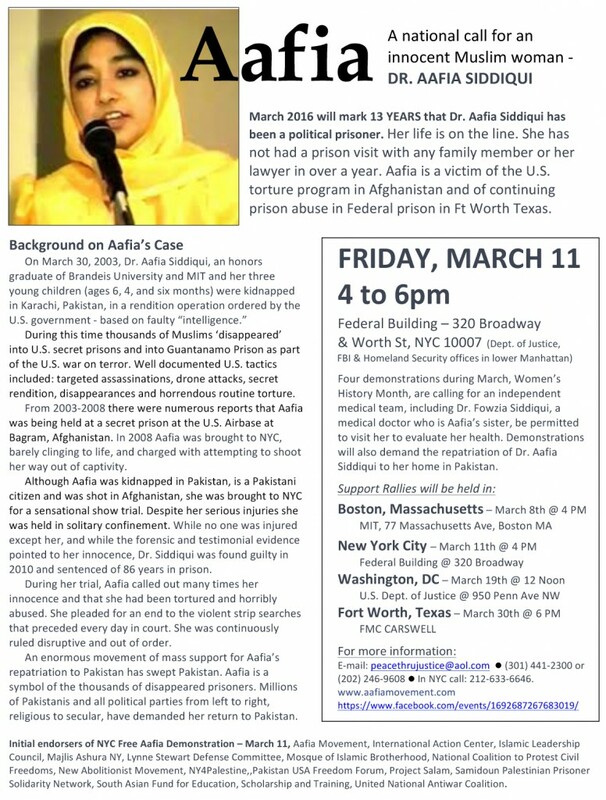 We ask everyone to join us this coming Friday February 5th, 2016, 1pm-4pm as we protest outside the New York City office of the US State Department. For those who are not in the area we are calling for all in the Haitian diaspora and all true freedom loving people wherever you maybe to hold a protest that day or sometime this week in solidarity with the people of Haiti. February 7th is a historic date for our people. It is the date that the Duvalier dictatorship was forced to flee in 1986. On that day in 1991, Jean Bertrand Aristide, our first democratically elected president came to power. It is day this year that the apprentice dictator Martelly is to give up power. He has so far said that he will not leave. Entrance on 53rd Street between 5th & 6th Aves. New York State and the entire country are engaged in a serious public conversation on the meaning of justice and how it is applied in our communities, courts and prisons. Issues of particular importance to the legal community enter into that discussion, including sentencing reform, mandatory minimums, wrongful convictions and the ways in which racism shapes the application of justice. As lawyers with many decades of experience representing people caught up in the criminal justice system, we welcome that conversation. Whether in the media, including the New York Law Journal, in courtrooms, or in legislatures, there is a growing recognition that our justice system has too often been unfair and its punishments vengeful and draconian. California Event: Support Leonard Peltier! Posted in CAUSES, LATEST NEWS | Comments Off on California Event: Support Leonard Peltier! Oscar Lopez Rivera is one of the Puerto Rican independence fighter who has served longest in US prisons. A massive campaign has been being waged for him throughout the US, Puerto Rico and around the world. Now Oscar Lopez Rivera has issued a statement about Puerto Rican political prisoner Ana Belen Montes, who is serving one of the harshest sentences of total isolation in US federal prison at Carswell (compare to Leonard Peltier or the Angola 3 for an example of similarly barbaric punishment). (See article “Ana Belen Montes: Buried Alive” if you haven’t already read about her from this list).